President Muhammadu Buhari says the sacrifices of fallen officers and men in the war against terrorism in Nigeria would never go in vain, and that their memories would be eternally etched in the hearts and minds of fellow citizens for whose sake they laid down their lives. 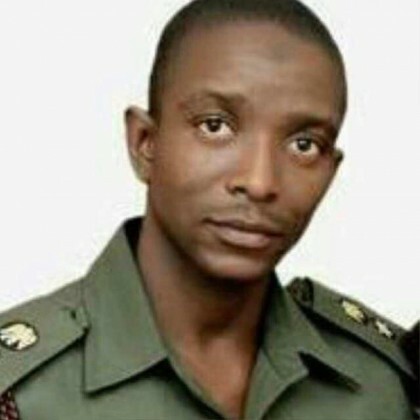 Reacting to the death Colonel Abu Ali, one of Nigeria’s finest and bravest soldiers in recent history, President Buhari said in a condolence statement issued by his Senior Special Assistant on Media and Publicity, Malam Garba Shehu, that he was rudely shocked by the news of the officer’s death along with other gallant soldiers during an encounter with the Boko Haram bandits in Borno State. President Buhari the late Colonel Ali and his other fallen colleagues had brought glory to the army and the country for laying down their lives for the sake of others. President Buhari, who personally called late Colonel Ali’s father, Brigadier-Gen. Abu Ali (Ryder) to console the family , reassured them that the death of her husband and others in battle would never go in vain. “He was a gallant soldier, never to be forgotten. He has brought a good name to the family,” said the President. He then called on members of the armed forces not to let the tragic incident to dampen their morale and spirit, adding that under no circumstances should the Boko Haram terrorists be allowed to destroy the will of our troops. Meanwhile, the President has appointed a high powered delegation to be led by the Chief of Staff, Abba Kyari, that includes the Minister of Federal Capital Territory, Mohammed Bello and the Minister of State Solid Minerals Development, Baba Buhari to represent him at the funeral of Colonel Abu Ali and others tomorrow, Monday November 7, 2016.